(Reuters) - Shares in U.S. carrier Delta Air Lines Inc dropped 4 percent in Thursday morning trading on concerns that slowing global economies would limit the No. 2 U.S. airline's revenue growth in 2019 despite strong travel demand. 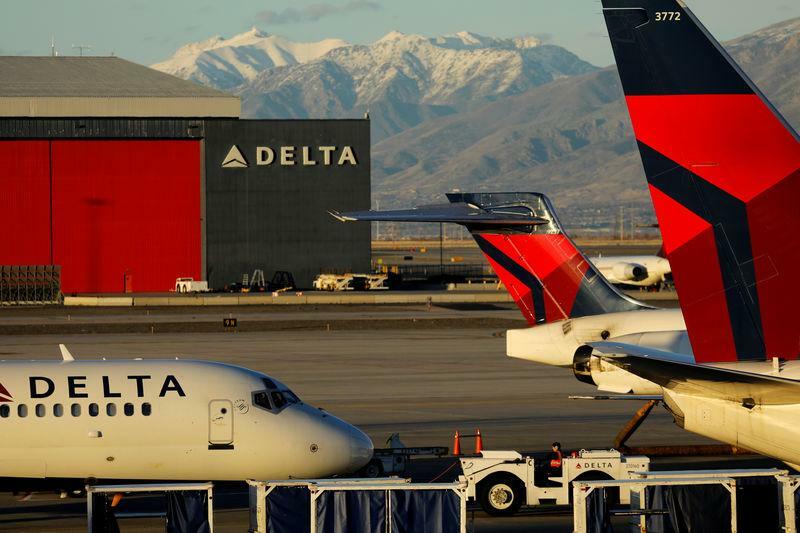 The lower end of Delta's 2019 profit forecast of $6 to $7 per share also fell short of an average $6.70 forecast by Refinitiv. To boost revenues, Chief Executive Officer Ed Bastian said Delta would continue segmenting its cabins with an increased focus on higher-margin premium products. These now account for 30 percent of Delta's revenue stream, double the amount six years ago. On fuel costs, Delta said it expects a $300 million drop in fuel expenses for 2019. Traditionally, airlines have taken advantage of lower fuel costs to add more flight and seat capacity, a measure that can also drive down unit revenues, a closely watched metric that compares airlines' sales to available seat miles. Delta said it planned to increase capacity by about 3 percent in 2019. This is below a 4 to 6 percent capacity increase targeted by rival United Airlines, which has been trying to claw back market share against its larger peers.